M. Brandon Smith is a partner with Childers, Schlueter & Smith, where his practice is devoted to pharmaceutical litigation, mass torts, products liability and serious personal injury. 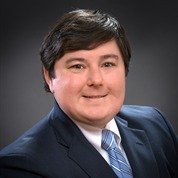 Following law school, Brandon was an assistant district attorney in the Alcovy Circuit (Newton County), where he gained valuable trial experience and a desire to help individuals harmed by the careless actions of others. Today and over the last decade, Brandon utilizes his skills to help injured victims nationwide, and he is a frequent guest speaker at legal seminars all over the country.